How long will Malaysia remain my 2nd Home? As you will have noticed, I am back in my native country at the moment, enjoying life there..:-) But looking forward already to be back in Malaysia, my 2nd home. For how long? Honestly, I don’t know. It takes 45 minutes of your time. Please watch it! Usually I come back to the Netherlands when spring has started, but this time I was earlier. The weather was cold and grey, not inviting to go out and enjoy the countryside. Maybe visit a museum? 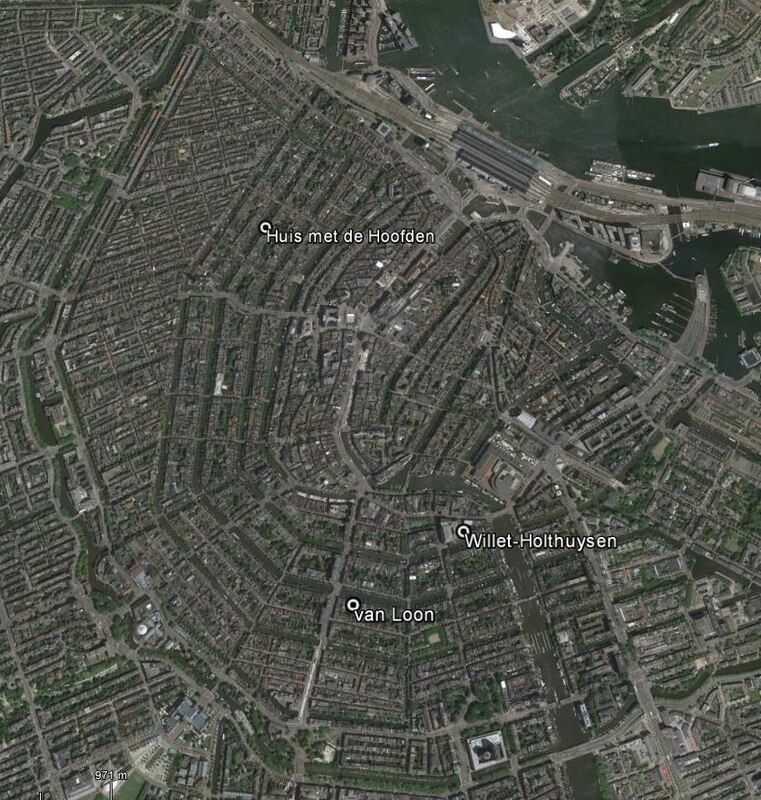 But which one, Amsterdam has more than 50 of them! Two of them are housed in patrician canal mansions and I decided to visit those. First I visited the museum van Loon. 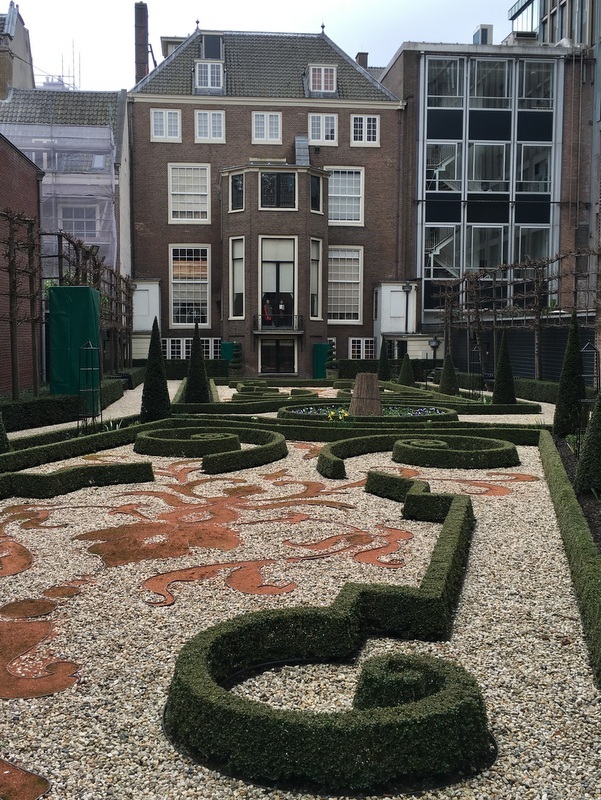 This merchant mansion was built in 1671, has had many tenants (for example the painter Ferdinand Bol, a pupil of Rembrandt) and owners and was finally bought in 1884 by the aristocratic family van Loon, who still owns it, but doesn’t live there anymore. Here is a collection of pictures. These mansions have a big garden, with at the back the coach house. The kitchen is in the basement, the (elevated) ground floor has reception and living rooms, the first floor the bedrooms. The second floor (not accessible nowadays) contained the servant quarters. The museum gives a good impression how the rich merchants lived in those days. During my visit there was an interesting special exhibition. The van Loon family belonged to the Dutch aristocracy and many exhibits show their personal fashion style, from 1850 until present. My second visit was to the Willet-Holthuysen museum. Built for Jacob Hop, mayor of Amsterdam, around 1685. 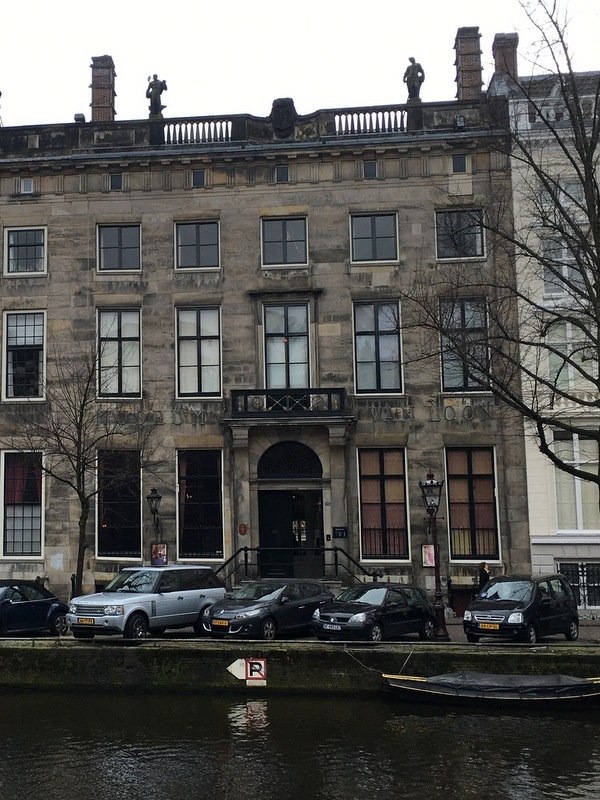 Also here many owners, the last one was Mrs. Willet-Holthuysen, she bequeathed the entire house to the city of Amsterdam on condition that it became a museum in 1895. Also for this museum a collection of pictures. The Willet-Holthuysen couple were part of what you would call nowadays the jetset. Traveling a lot, giving parties, collecting art. 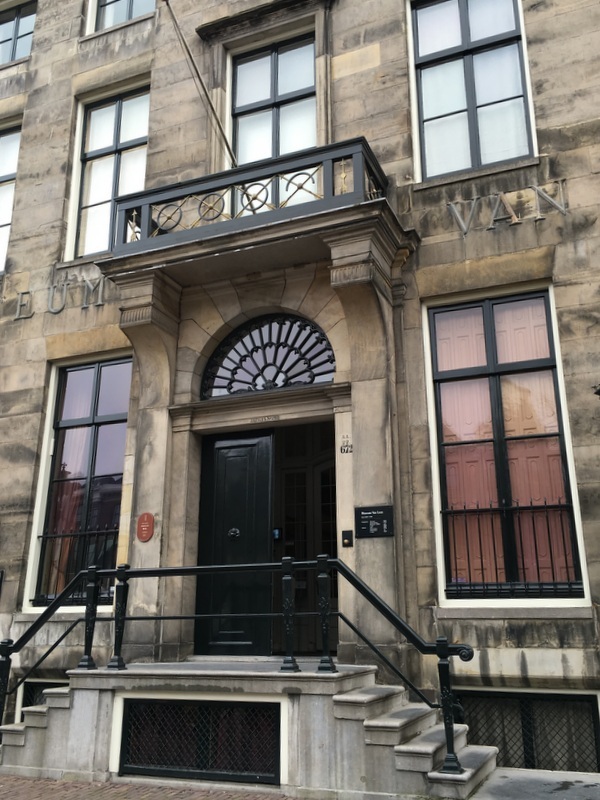 When I was searching the Internet for opening times etc, I found that there used to be another townhouse museum, the Geelvinck-Hinlopen mansion, unfortunately closed indefinitely last year. 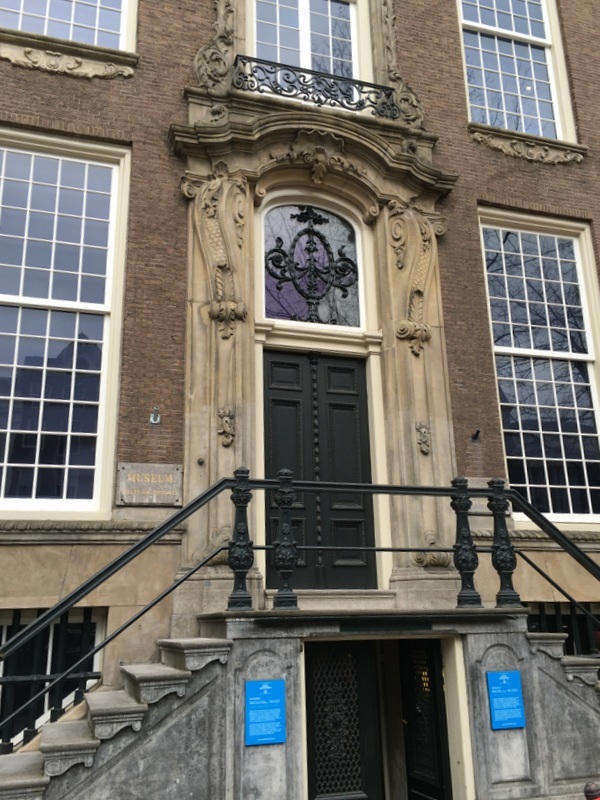 But the regular concerts of classical music, given in this museum, arestill being organised, only in a different location, in the Huis met de Hoofden (House with the Heads). This mansion was built in 1622. The interior is under renovation, only one room is accessible for concerts. Impressive facade. It was my lucky day, there was a concert on this grey Sunday afternoon! Musica Batavia , three musicians, on harpsichord, violin and recorder, were playing music by Bach, Telemann, Vivaldi and others. I really enjoyed this Grey Sunday in Amsterdam! On 7 January 2016 a “new” large prime number was discovered, with more than 22 million digits. Time for a blog about these numbers, which have fascinated mathematicians from Greek antiquity until present times. Prime numbers are numbers that can only be divided by 1 and itself. For example 7 is a prime number, but 6 is not because it can be divided by 2 and 3. . 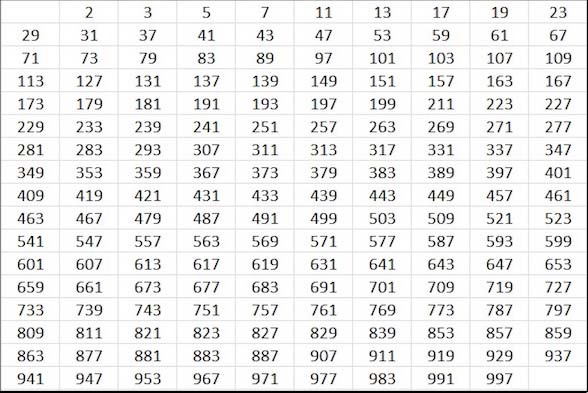 Here is a list of the 168 prime numbers smaller than 1000. The number 2 is the only even prime, all others are odd. Euclides, the famous Greek mathematician, living in present-day Egypt around 300 BC, already proved that their number is infinite, and his proof is so elementary, that I often presented it to my students when I was a teacher, as an example of what is called Reductio ad Absurdum. Euclides’ proof: Assume that you have a complete list of all prime numbers. Multiply them together and add 1. Call this number X. Because of the added 1, this number X can not be divided by any prime number in your list (there will always be a reminder 1)! So there are only two possibilities, either X is prime itself, or it can be divided by a prime number outside your list. In both cases it shows your list was incomplete. Therefore our assumption was wrong and the list of prime numbers is infinite! How to find out if a number X is prime? Do we have to check whether X is divisible by any number, smaller than X ? That would be a tedious job. Fortunately it is not as bad as that…:-). Because it is easy to see that we only have to check whether X is divisible by any prime number, smaller than the square root of X. For example X=283, is it prime? The square root of 283 = 16.82…, so we have only to check division by 2,3,5,7,11 and 13. So 283 is a prime number! This procedure is called Trial Division. For large numbers it becomes time consuming. For example, we want to check if 1000.003 is prime. There are 168 prime numbers smaller than 1000, so we have to do 168 divisions to finally conclude that, yes, 1000.003 is prime. Repeating this procedure for 999.997, you will find that this number is not prime, it can be divided by 757. Imagine that you have to do these divisions with only pen and paper! Back to the recently discovered large mega-prime. It is a so-called Mersenne prime, one less than a power of 2: Mp = 2p − 1 with p itself a prime number. M2 = 22 − 1 = 4 – 1 = 3 prime! M3 = 23 − 1 = 8 – 1 = 7 prime! M5 = 25 − 1 = 32 – 1 = 31 prime! M7 = 27 − 1 = 128 – 1 = 127 prime! Could this be a rule to create prime numbers? Unfortunately that is not the case. M11 = 211 − 1 = 2048 – 1 = 2047 = 23 * 89 , not prime! However the next one M13 = 213 − 1 = 8192 – 1 = 8191 is again prime. As are M17 = 131.071 and M19 = 524.287. The last two are already quite large, in 1588 the Italian mathematician Cataldi had proven by trial division that they were prime. Why are these numbers called Mersenne primes? 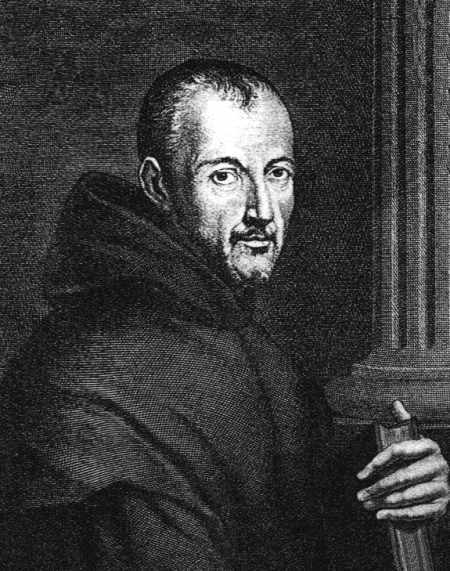 Marin Mersenne was a French priest with an interest in mathematics, theology and philosophy. He published in 1644 a list of these numbers 2p − 1, stating that they were prime for p = 2, 3, 5, 7, 13, 17, 19, 31, 67, 127 and 257, and not for any other p below 257. 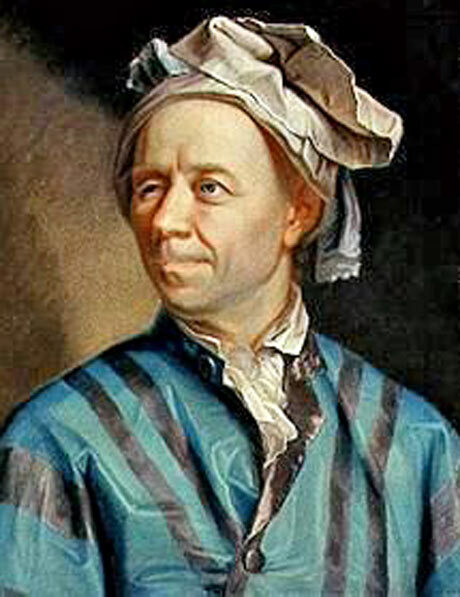 It was only in 1772, more than a century later, that the great mathematician Leonhard Euler proved the primality of M31. By a clever analysis of the general structure of Mersenne numbers, he managed to reduce the number of trial divisions to 84 ! Still a big job (pen and paper), the story is that he had a team of helpers to do the actual calculations. This was the last result using trial division. 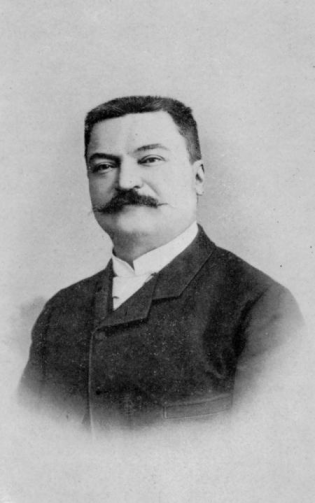 For more than a century no developments regarding Mersenne primes took place. Until 1857, when Édouard Lucas, a young French boy (15 years old), gets interested to prove that M127 is prime. 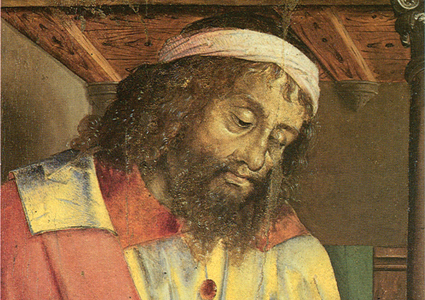 As trial division is not feasible for these large numbers, he studies the structure of the Mersenne numbers and develops a method to check the primality without trial divisions. After 19 (!) years of testing his methods, he is convinced and announces in 1876 that M127 is prime. The 9th Mersenne prime! With Lucas’ method, in the following years/decades the primality of M61 , M89 and M107 is proven. Still using pen and paper! 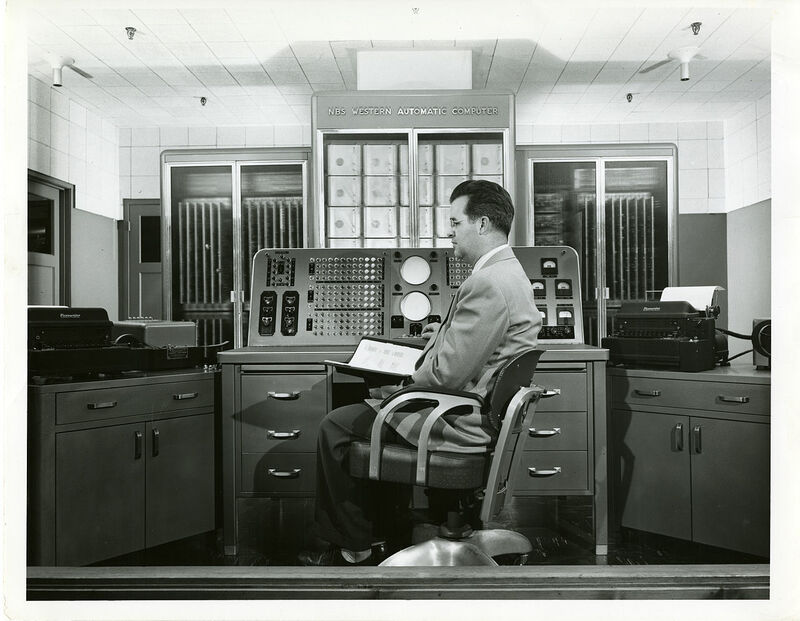 New activity starts only in the 20th century when the first computers are built. 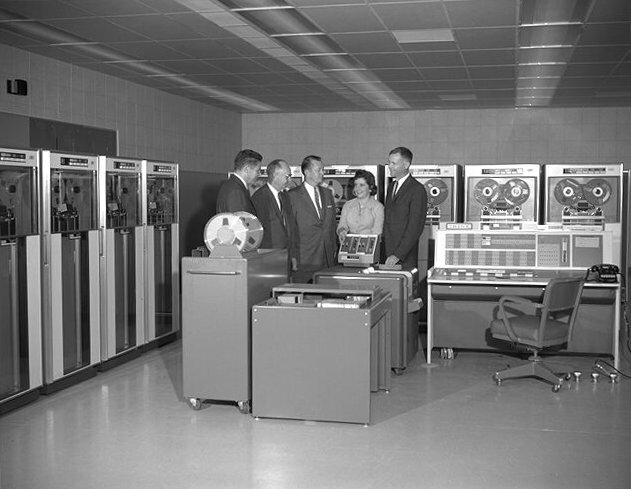 One of them is the famous SWAC computer, built in 1950. Nowadays a PC or even a tablet would be more powerful. Very large numbers! Here is prime number M2281 with 687 digits. To make it more readable, spaces have been inserted after three digits. And in 1979 the first Mersenne prime with more than 10.000 digits was found, M44.497, using a Cray supercomputer. You might expect that the recently discovered Mersenne prime M74.207.281 with more than 22 million digits has been found using a super-super computer…:-) But that is not the case! Actually PC’s were used, not one but many, working together! Since 1996, 15 new Mersenne primes have been found, all of them using GIMPS! Of course finding a new Mersenne prime has no scientific value, it is just an intellectual challenge. But you might win a prize! On 8 February, the Chinese year of the monkey started. I am a monkey myself, when you are familiar with the Chinese zodiac, you know that I will celebrate my 72nd birthday this year…:-). Oh, you thought it was my 60th? Don’t play play, lah! 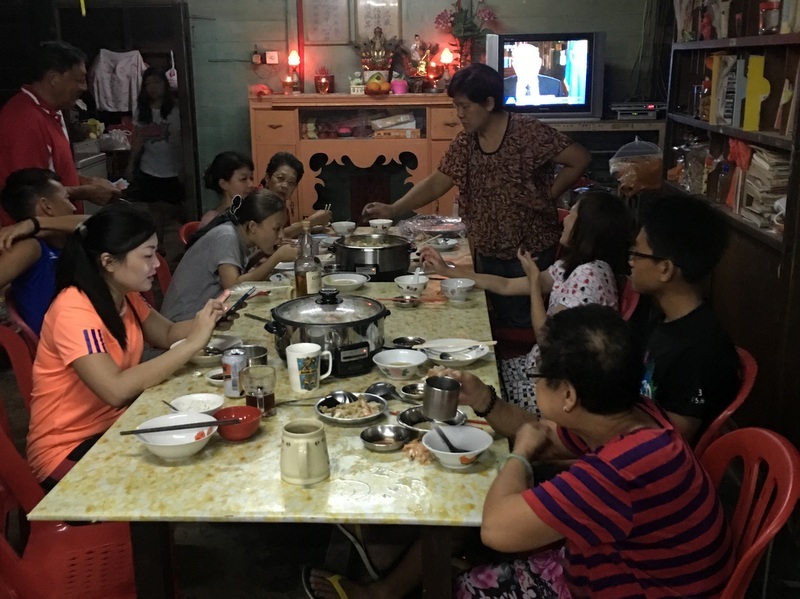 This year I decided to join Aric in his hometown for the traditional steamboat dinner on CNY eve. He had gone to Parit Baru already a few days earlier to help his mother with the preparations. As usual there was a big crowd, dinner in two rounds. Second round. In the right picture Aric’s mother and his older sister with her two children. After the dinner it was time for the traditional Yee Sang ceremony. Yee Sang is a Teochew-style raw fish salad. Actually yee sang means “raw fish”, but the pronunciation is similar to the Chinese word for “abundance”. The ceremony is that the family members gather around the yee sang and toss the salad with their chopsticks. The higher you toss the salad, the more abundance you will get…:-) It is a very Malaysian Chinese tradition. On day 3 of CNY I was planning to visit a “new” waterfall between Beruas and Trong, with my waterfall friends Siang Hui, Nick and Rani. First I was thinking to stay in Parit Baru until then, but would I survive the crowd…:-)? Aric advised me that it would be better to “escape” for a few days, and come back on day 3 for the traditional family party. So I went to Taiping on day 1. I had booked a hotel in Taiping already, when my friend May protested, told me that the hotel was haunted and convinced me to stay with her in what she calls the “Maywarmers Lodge”. Of course Rani was welcome too. Malaysian hospitality! By the same Malaysian hospitality I was invited for two CNY open houses…:-). 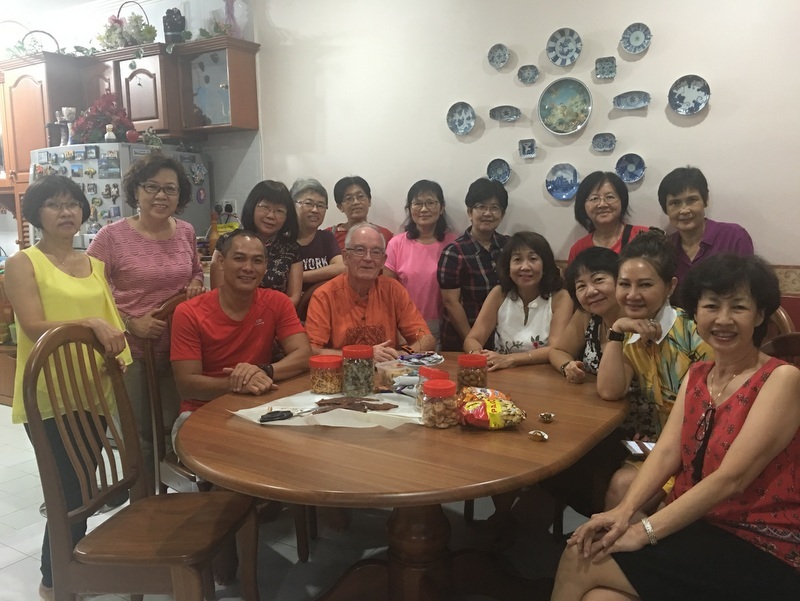 I am a member of the Taiping Heritage Society and both Yeap, the president and Sharon, an active committee member, invited me as soon as they heard that I would be in Taiping. After the lunch I met Rani in town, he had traveled on his bike. Also Paul and Fahmi, who happened to stay in Taiping. We spent a nice afternoon together, visited the Burmese pool (really too crowded) and had a look at the ruined New Club swimming pool. We had a drink in the Lake Garden food court, before Paul and Fahmi went back to KL. Later Rani and I had our dinner in the same food court, one of my favourites. 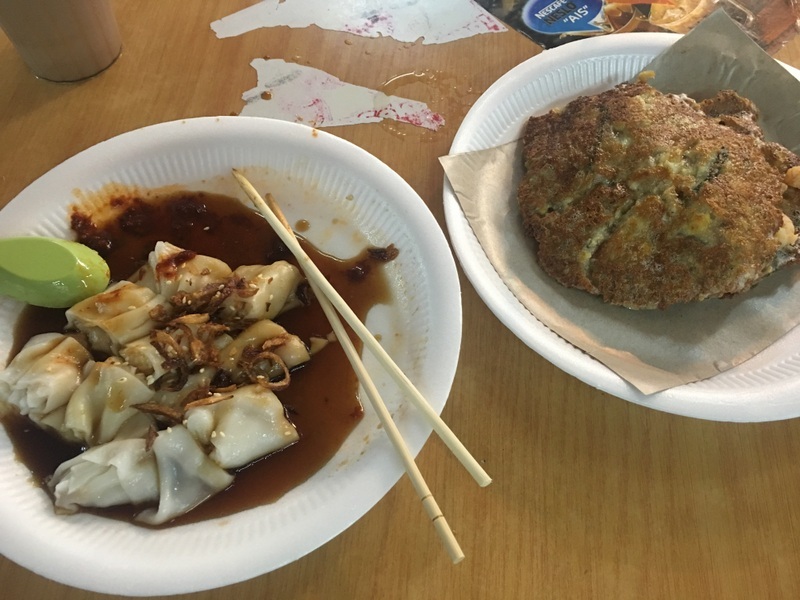 And the next morning we had a dim sum breakfast with our hostess May. That evening Rani joined me to Sharon’s open house. 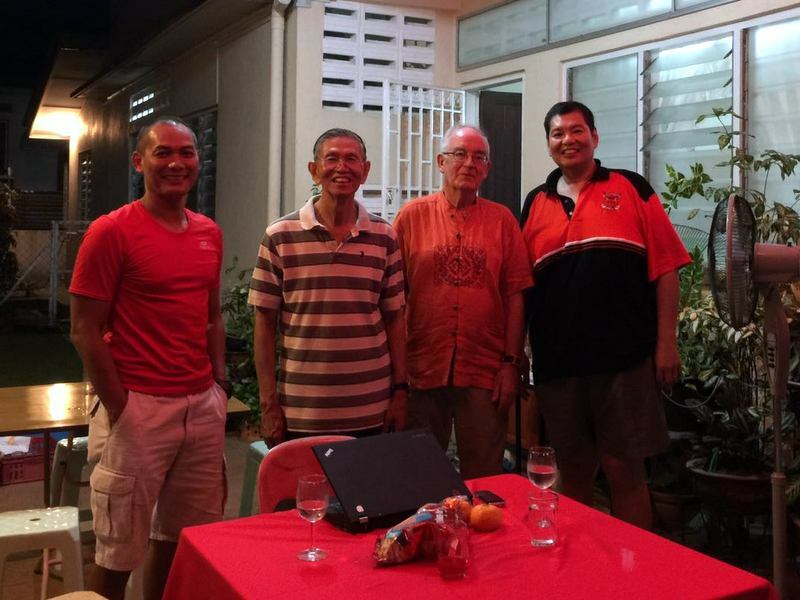 In the picture you see Sharon’s husband, Dr Chan Ah Lak and his nephew Henry Chan, who also happens to be a friend of mine. As usual Malaysia is a small world…. 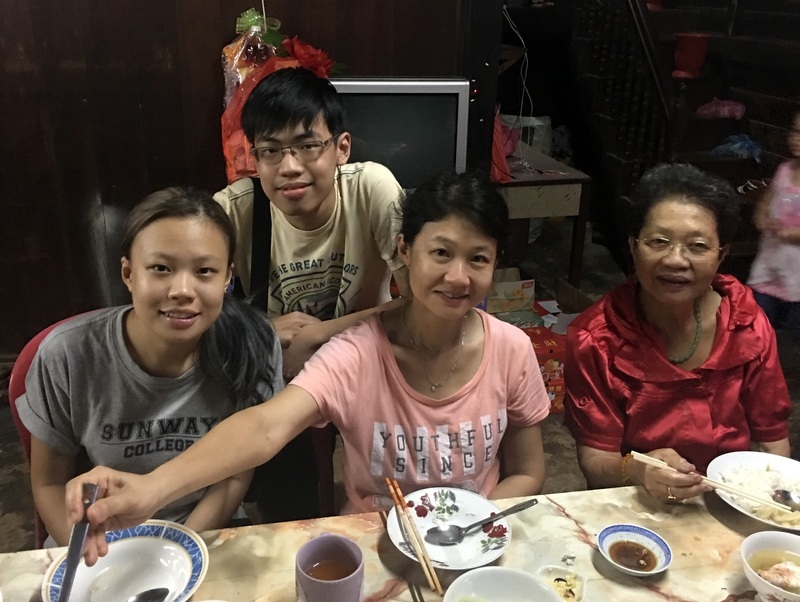 The following day we had arranged to meet Siang Hui and Nick (coming from Teluk Intan) at the entrance of the Allagar Estate, between Trong and Beruas. From there a plantation road would take us to the trail head. Siang Hui had discovered the waterfall a few years ago and baptised it Lata Hui..:-). But what a disappointment. When we arrived at the trail head, we were stopped by an armed soldier, who told us that the region was out of bounds because of a military training. What to do? The only alternative was the Trong waterfall. We decided to go to the Upper Trong Fall, but we were not really in the mood, there were many leeches, we got lost a bit, and rather dispirited returned to the Trong Fall. A nice fall, we had our lunch there and a bath. But still a pity, we were so full of expectations. After our lunch, we all went our way, Rani back to Meru, Siang Hui and Nick to Teluk Intan, and I back to Parit Baru. Where I caused quite a sensation, entering the kitchen..:-) Leeches, somebody screamed and yes, I had not checked my sandals and brought a few of these critters in the house. Immediately they were covered with salt, but I felt quite embarrassed. Here is the official picture of CNY 2016. The rule this year was to wear either a blue or a yellow shirt. And here are the firecrackers. Illegal, but hey, this is Malaysia!